↑ ୧.୦ ୧.୧ Cox, Wendell (2018). Demographia World Urban Areas. 14th Annual Edition (PDF). St. Louis: Demographia. p. 22. ↑ "Statistical Communiqué of Changsha on the 2016 National Economic and Social Development (Chinese·中文)". Archived from the original on 17 April 2016. Retrieved 27 May 2016. 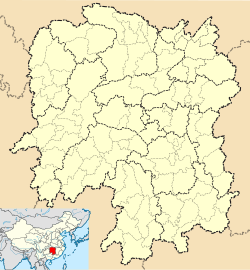 ↑ Changsha.gov: Geography of Changsha Archived 19 September 2016 at the Wayback Machine.